Magnolia Holden fled the Black Hills Wolves with her family during the reign of Magnum, terrified for her life and for that of her older sister Betty, who she had to leave behind. 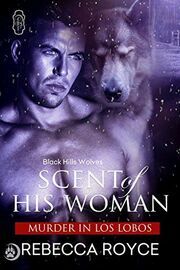 She has never wanted to go back to Los Lobos and face her terror of the enforcer, Ryker. Instead she lives happily in Sioux Falls helping her parents run their dress shop and dreaming of Clayton Davies, the human mystery writer who she loves but believes she can never have. But there is murder happening in the Black Hills and when Betty’s mate, the Alpha Drew, lies at death’s door, Mags will have to return and face her worst nightmares over and over again.